A farmer has been ordered to pay over £2,000 after three dead calves were found rotting on his land. 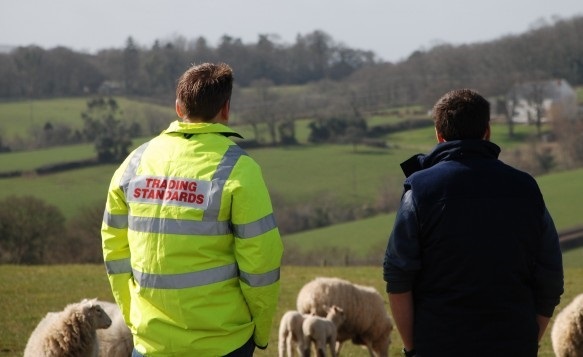 Wyn Morgan, from Newcastle Emlyn, Carmarthenshire, admitted delaying the disposal of the fallen stock despite being reminded by animal health officers on a number of occasions to do so. The 48-year-old appeared before Llanelli magistrates in a case led by Carmarthenshire Council on Friday 22 March. The court heard that following a complaint on rotting calves being dumped on land in April last year, Morgan was advised to remove the mixed breed carcasses which were along the boundary hedge and against the woodland. After removing just six he was given until May 7 to clear the remaining three. On May 4, in a phone call between his solicitor and council officers, it was claimed that Morgan had been unable to locate the remaining three despite him having collected six from the same location earlier. The location was also marked with a red and white feed bag. The farmer then claimed he couldn’t move them until May 11 - some four weeks after the find - as he was short staffed. They were eventually removed on May 8. The council’s executive board member for public protection, Cllr Philip Hughes said: “It was a very blatant act by him claiming, via his solicitor, that he didn’t know the location even though he’d been there previously and picked up six of the nine carcasses.